Entire left arm is in a cast from the elbow down. Had hand surgery yesterday. Oh no Brent. Boy that looks painful. Hope you heal up fast. Ouch man. Wishing you a healthy recovery. 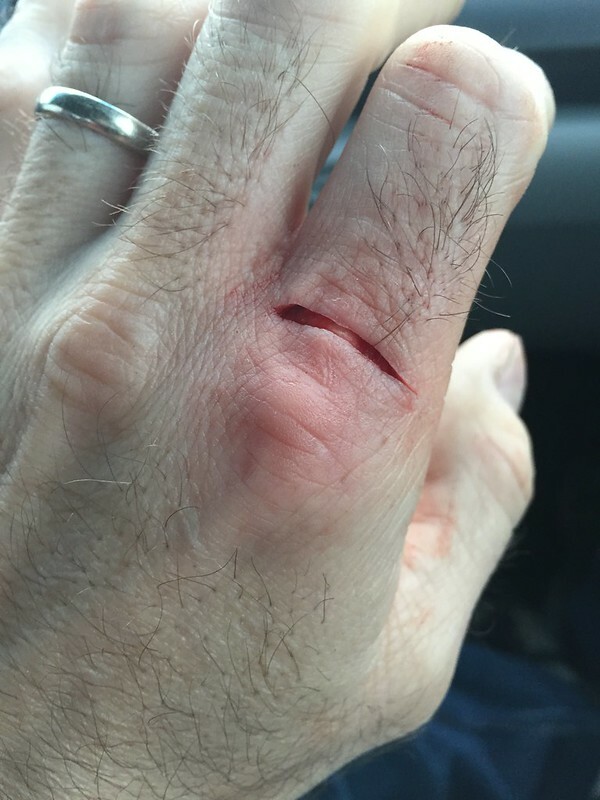 Cut my RH ring finger on the topside years ago (cup was sliding off a SS shelf above a sink, caught same just as it smashed itself onto the sink) and had micro-surgery as the sheath, IIRC, was cut. Doc said it was lucky the nerve wasn't cut as well. Cool to watch the entire suturing process as the anesthetic was only from the right shoulder down! Pocket knives dont need to be surgical sharp. Hope it heals up quick and isnt too painful. Bugger! hope it heals up quick! Ah man that looks sore !! Ouch!!!!! Sheez that looks painful. Ooo that looks bad. I have a friend who did a similar thing using but to his thumb using a chop saw. It healed up just fine but it took quite a while. They had it immobilized with a pin.